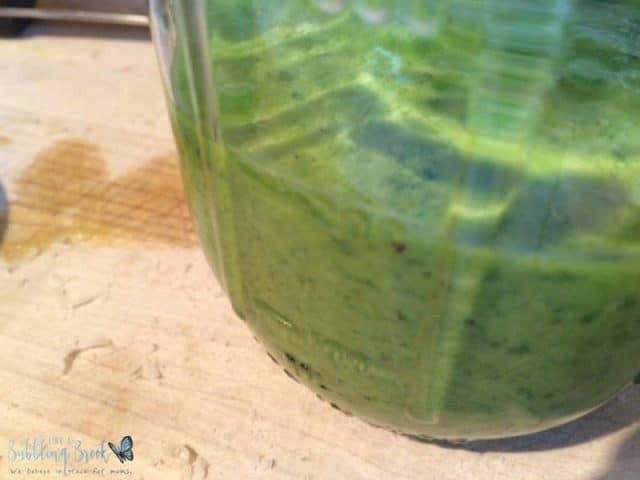 I’ve written about the Daniel Fast before (here), as well as shared recipes with you. During many Januarys, over the past several years, we’ve participated in the Daniel Fast with our local church. 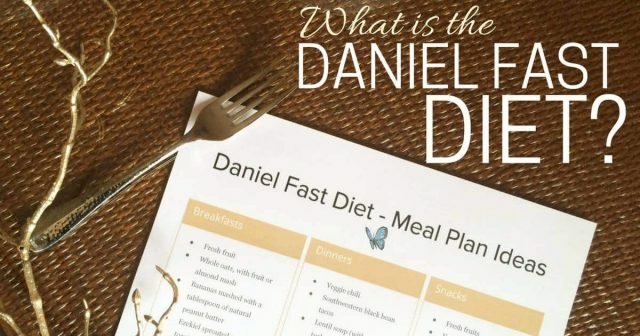 But what is the Daniel Fast Diet? The Daniel Fast Diet is basically the same thing as the Daniel Fast, but done for overall health and wellness. Weight loss will occur with the Daniel Fast, which also has made it appealing to Christians who are looking for both spiritual and health benefits. It’s intended to simulate a fast that Daniel did, as mentioned in the book of Daniel, chapter 10: “In those days I, Daniel, was mourning three full weeks. I ate no pleasant food, no meat or wine came into my mouth, nor did I anoint myself at all, till three whole weeks were fulfilled.” This was a partial fast that Daniel did for three weeks. While you’re on a Daniel Fast Diet, you’ll abstain from all meats and animal products, as well as from added sweeteners, baked goods, and leavened breads. There will be no artificial preservatives, processed foods, deep fried foods, etc. 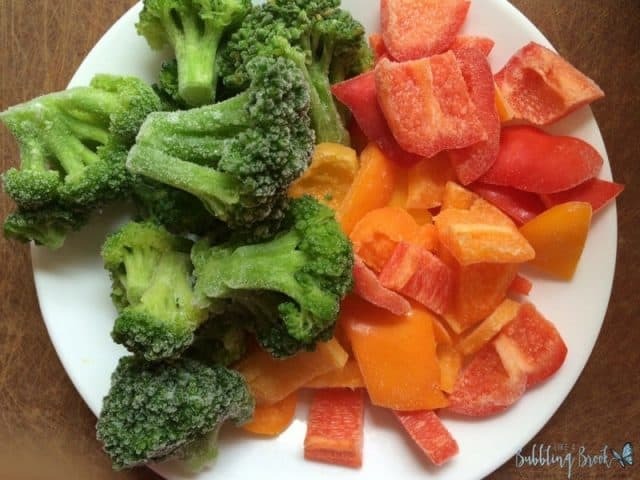 Your diet will consist mostly of fruits, vegetables, beans, grains, and nuts. Your only beverage will be water. While January is a popular time to do this fast, late summer and early fall are ideal times as well. You’ll be eating mostly fruits and vegetables, and there’s a bounty of freshly-picked produce to choose from at your local farmers market… or maybe you’re getting an abundant harvest from your own garden! This is a time to cleanse your body and re-focus on the things that really matter to you. Have you ever participated in a Daniel Fast? Did you experience weight loss, increased health, and better overall wellness during that time? I’d love to hear about it in the comments! If you’d like encouragement in fasting, prayer, and bible study, you’re invited to join our Women’s Bible Study with LABB Facebook group. I’d love to see you there! 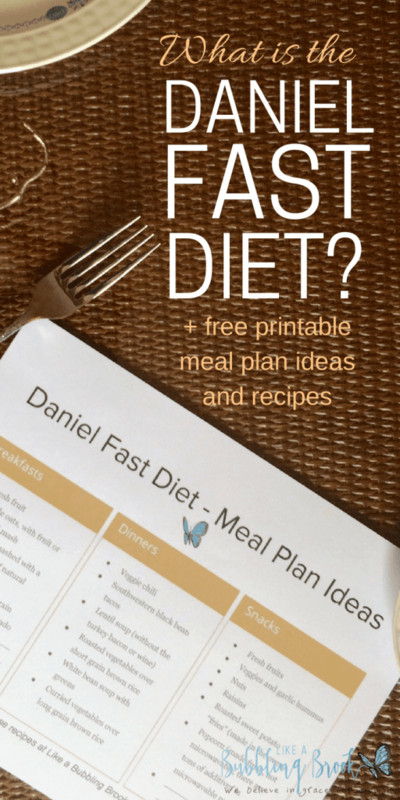 Grab our printable sheet of Daniel Fast meal plan ideas FREE when you join our email list. Success! Now check your email to confirm! Ezekial bread contains yeast; therefore, “leavened” and not part of the Daniel Fast. Thank you for catching that, Melanie! It’s the Ezekiel tortillas that don’t have yeast in them, not the bread. I made the correction! My understanding was that we couldn’t have vinegar or anything fermented. Is it ok to use vinegar now?? If you decide vinegar isn’t an option for you, you may consider using lemon juice in it’s place.